This custom home has all you want and more! 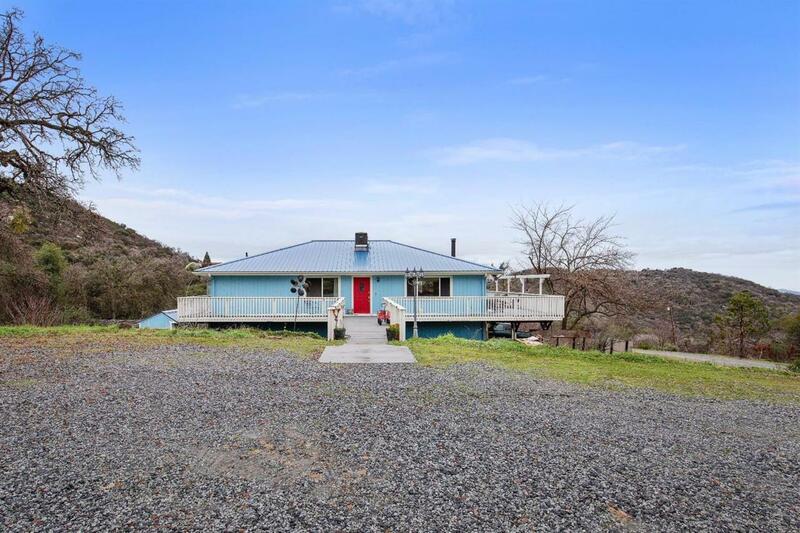 Enjoy breathtaking views of the sierras on the wrap around deck. As you walk through the second floor entry, you will continue to enjoy the gorgeous views through the new, large dual pane windows. This 2nd level features an open and inviting floor plan with 1536 sq ft of living space including three generously sized rooms each with their own sink and vanity. Two of the rooms share a Jack and Jill style water closet while the mater features a new large shower insert. Venture down the stairs and allow your mind to ponder all of the possibilities and things you could do and make in the 368 sq ft bonus room and 690 sq ft shop. Outside, find many graded areas, a large fenced garden with raised beds, a shed, 2 other out buildings and a chicken coup. This unique, custom, quality built home with 2 x 6 construction will not last long!